At Pepperwood Lodge - You are always Welcome! 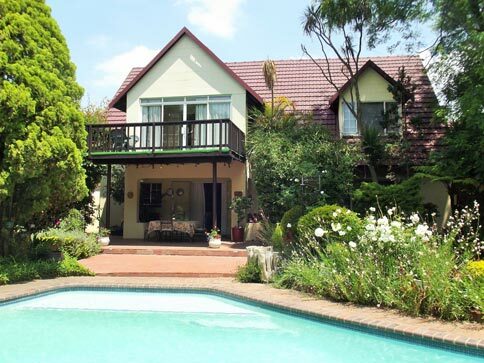 Welcome to Pepperwood Lodge - Pepperwood is a home style Bed & Breakfast, well situated in a quiet suburb in Northern Randburg, where a great nights sleep and a delicious breakfast is offered. 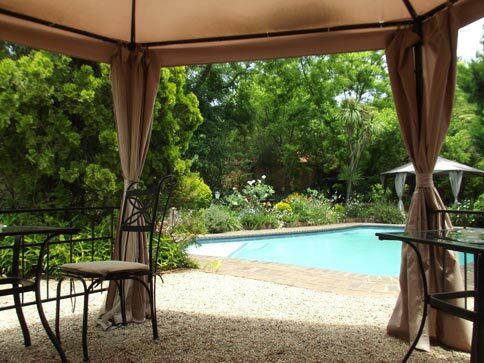 Relax next to a sparkling pool under the big pecan nuts trees in summer, maybe a swim under the stars at night. In winter there is a big wood burning fireplace to keep you warm and cosy in the guests lounge, great to enjoy your book or newspaper next to. 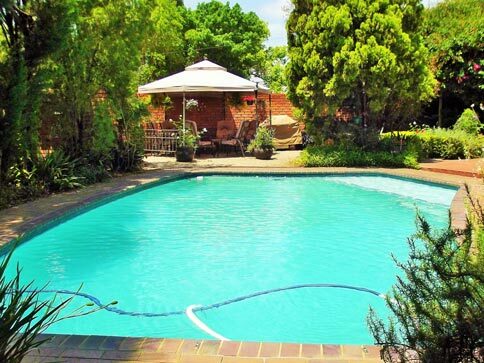 Pepperwood is so well situated - close to Montecasino, Fourways, the Ticketpro Dome, Olivedale Clinic, N1 highway, Northriding, Kya Sands, Northlands Deco Park, Northgate, Lanseria Airport. Ideal for business and leisure guests. Our guests are given their own remote & keys for independent access and cars are parked under lights behind electric gates all night. We have a high priority on security. We have a 24 hour security response company servicing Pepperwood to ensure our guests safety. 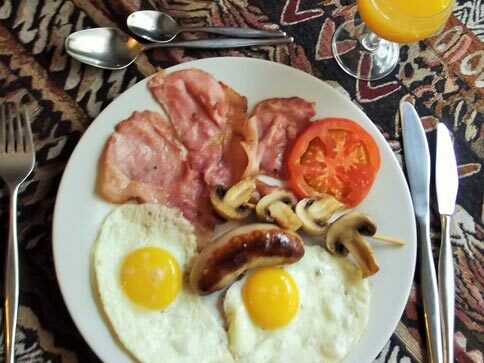 Breakfast consists of full English breakfast (eggs, bacon, sausage, mushrooms & tomato) also a comprehensive breakfast buffet including cereals, muffins, yoghurt, fresh fruit salad a meat & cheese platter, fresh orange juice, tea & coffee &toast. A selection of home made jams and marmalade. We are more than happy to provide alternative food for those with special diets, please just ask. Our breakfasts keep our guests coming back for more. We are surrounded by excellent restaurants for lunch and dinner, however if you prefer to eat in we will provide dinner but must be notified at breakfast please. Our dinners are meal of the day, home cooking - we do not offer this service on weekends when Mr. Delivery is happy to deliver. Our rooms are spacious and comfortable - some with their own private dining area or kitchenette. 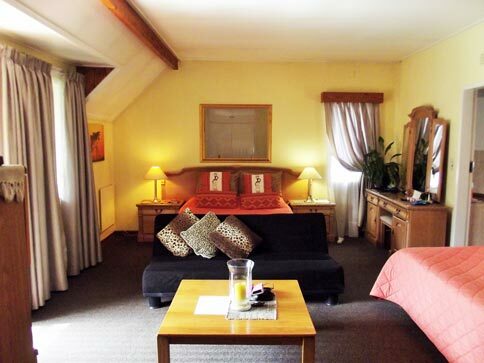 All the rooms have bar fridges, fans, heating, DSTV & uncapped WiFi free to our guests. Each room is different and can accommodate a single, double or family - rates will be charged accordingly. Please inquire according to your needs - we will be happy to accommodate you. Please see the information about each room to make the right selection for your accommodation. There is a great taxi service in the area which is reasonable and reliable should you require shuttle to the airport or transfer around town. There are many wonderful tours available should you be interested in visiting Soweto, Gold Reef City, the Apartheid Museum, Cullinan Diamond Mine, Pretoria, Sun City, Lion Park, Lesedi Cultural Village and much more. At Pepperwood our priority is to cater for our guests needs in detail, care for your comfort and a successful stay is our concern. 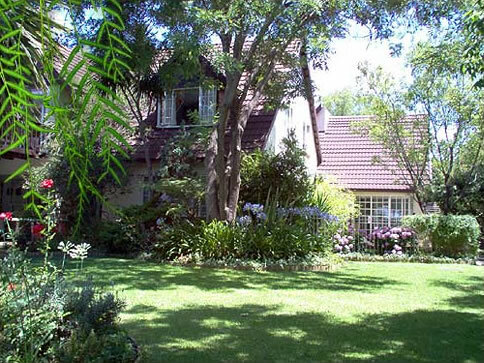 Pepperwood has been in business since 1997 offering great South African hospitality.